Comedian Kapil Sharma is all set to make his acting debut with Abbas Mustan’s Kis Kisko Pyaar Karoon costarring five actresses. Interestingly, his film releases on September 25, the same day as Madhur Bhandarkar’s Calendar Girls. Bhandarkar admits Kis Kisko Pyaar Karoon will probably have a sizeable audience. 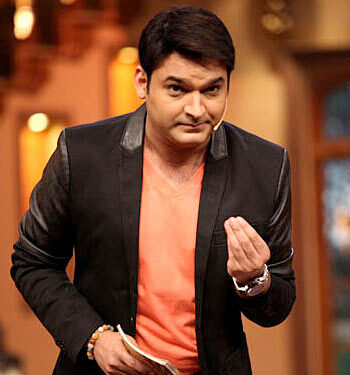 “Kapil’s popularity on television cannot be denied. His stardom on television is bound to spill over to the large screen,” he says. However, a source close to Kapil’s film sees no competition between the two films. “Kis Kisko Pyaar Karoon has no girls in bikinis, no titillation. It is a naughty comedy about a man with a roving eye. “Kapil’s role in inspired by Sanjeev Kumar's in B R Chopra’s Pati Patni aur Woh. But it is not raunchy or risqué in any way. Kapil was very clear about not letting his family audience down by doing anything vulgar,” the source adds.